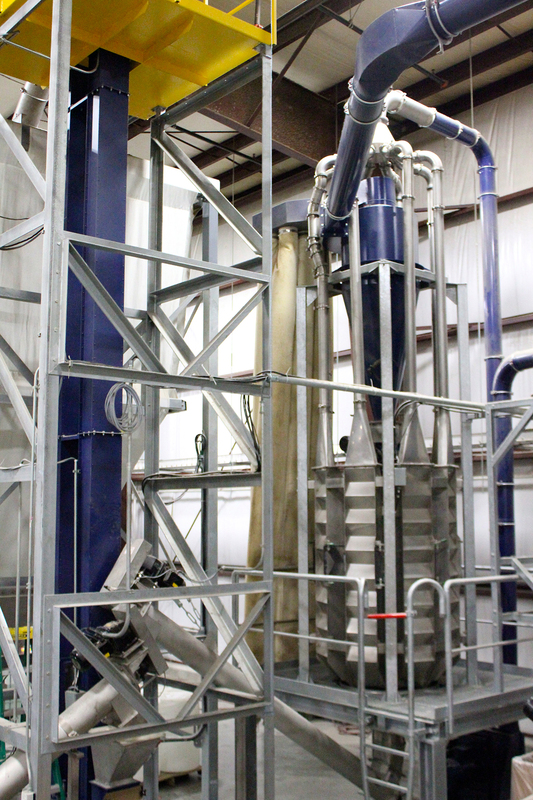 A Zig-zag air classifier divides a mixed material stream into two homogeneous streams. 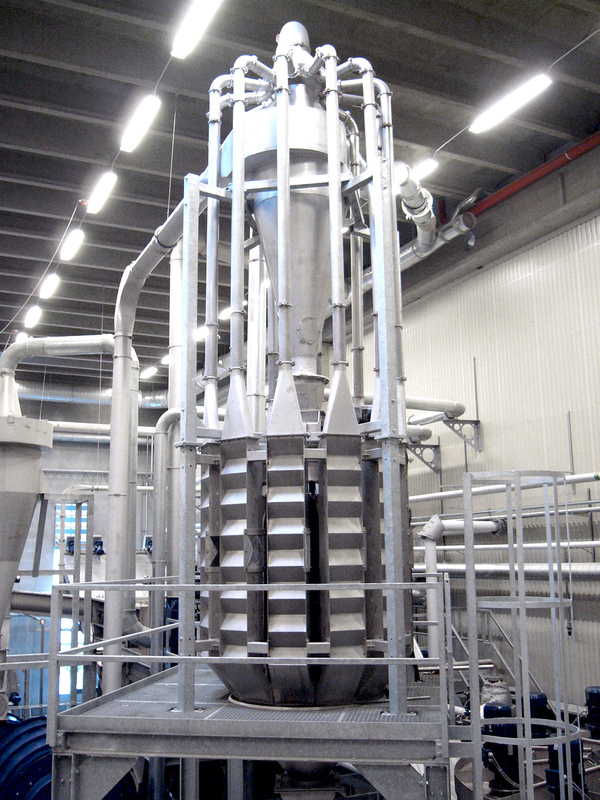 The upward vacuum extraction ensures the lighter micronized materials to blow up to exit the sorting chamber separately, leaving the heavier materials to exit at the bottom. 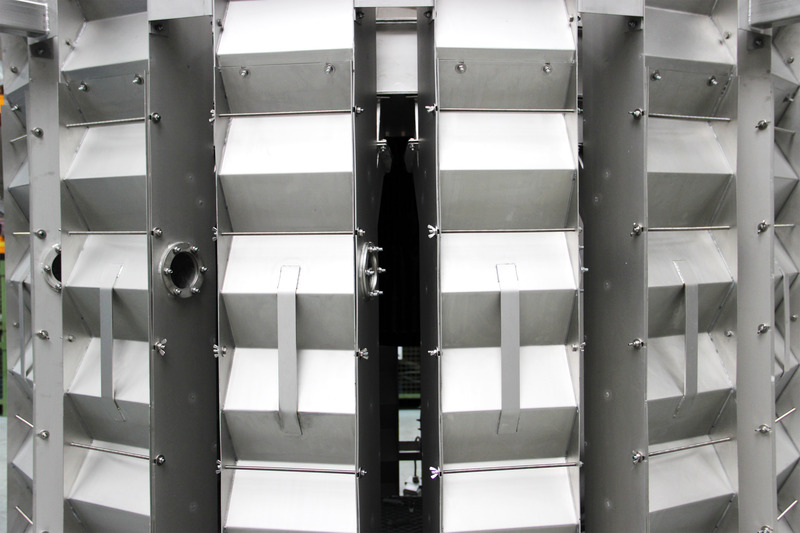 For a higher quality performance, B+B builds classifiers by placing multiple units in a circular arrangement. 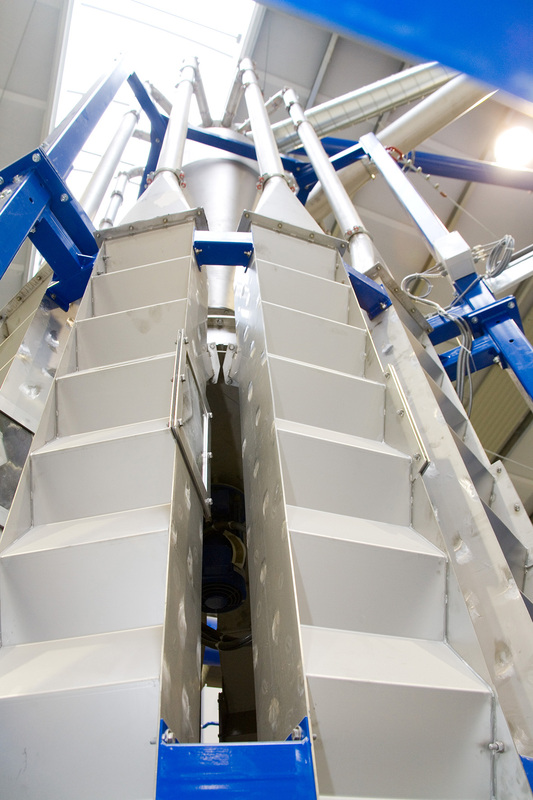 The material is evenly distributed via a plate ensuring a higher throughput. 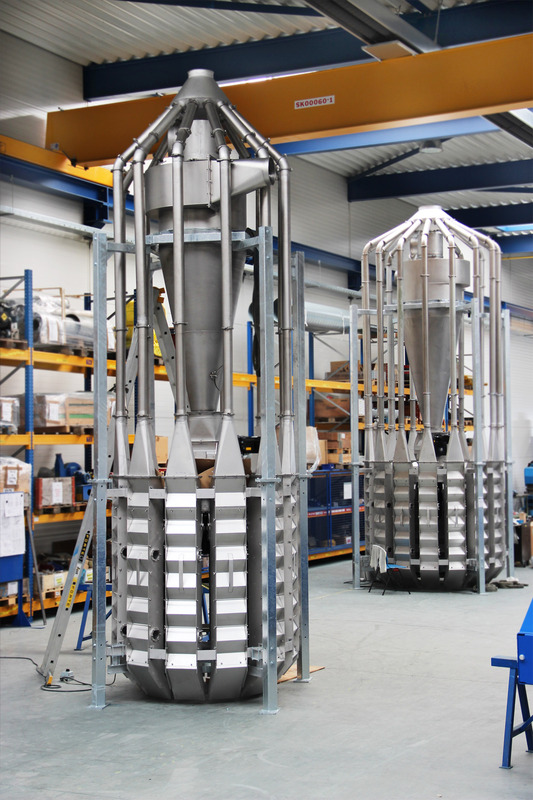 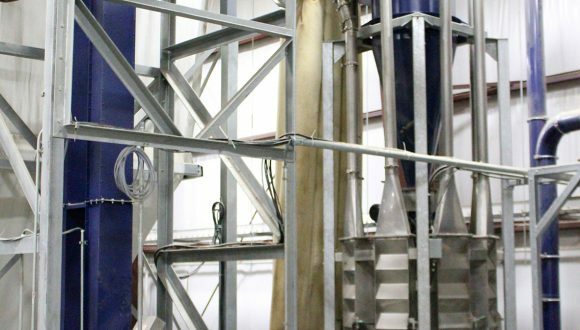 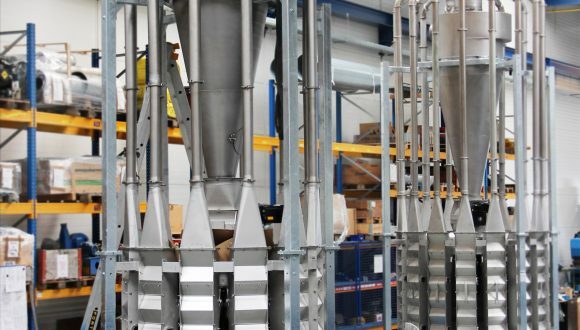 B+B builds and supplies customized zig-zag air classifiers for two main points in the recycling process. 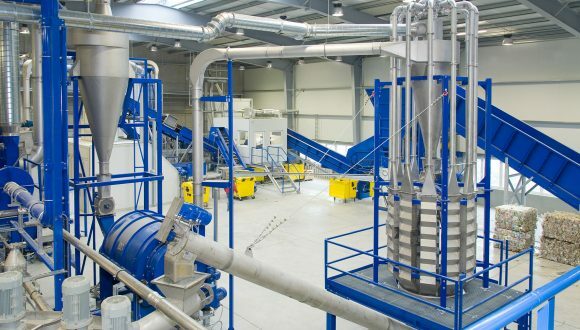 First, for the separation of films or paper after dry cleaner and second, for the separation of fines and dust from the ‘end product’. 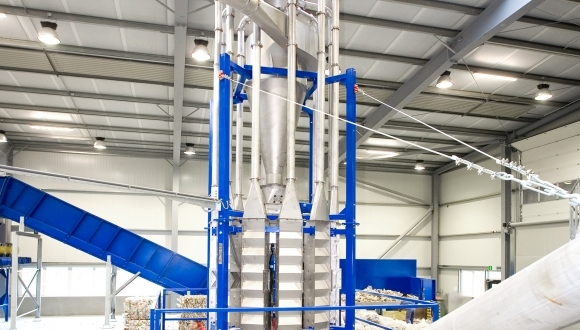 The zig-zag air classifier is commonly applied in the PET recycling process, when contaminants, such as labels, paper, and plastic wrappers are removed from the PET flakes. 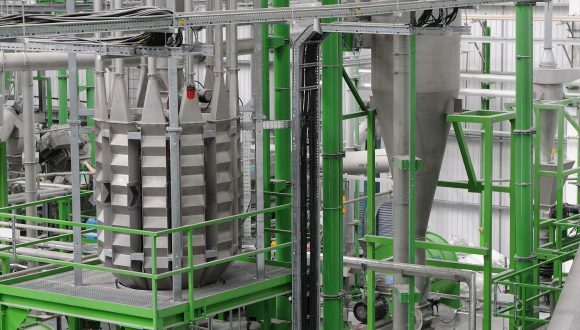 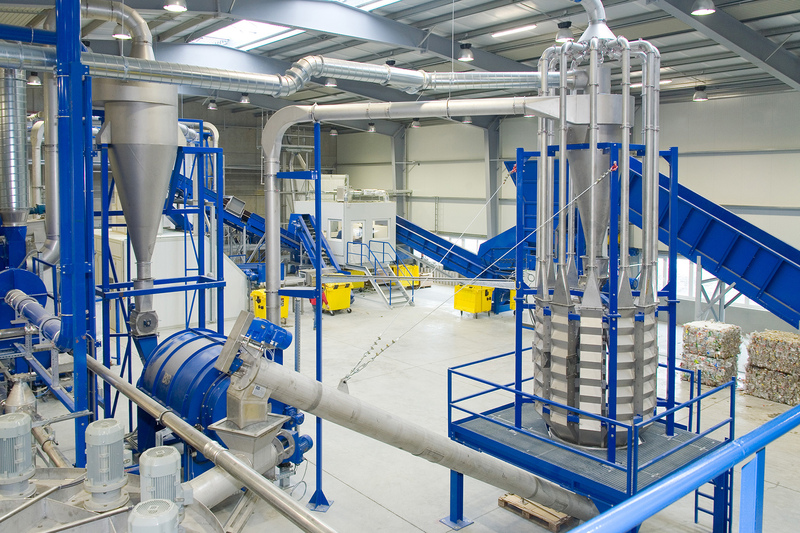 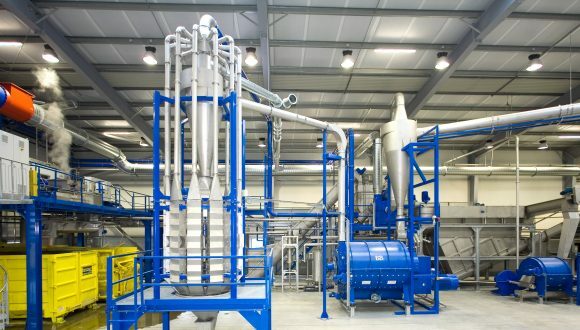 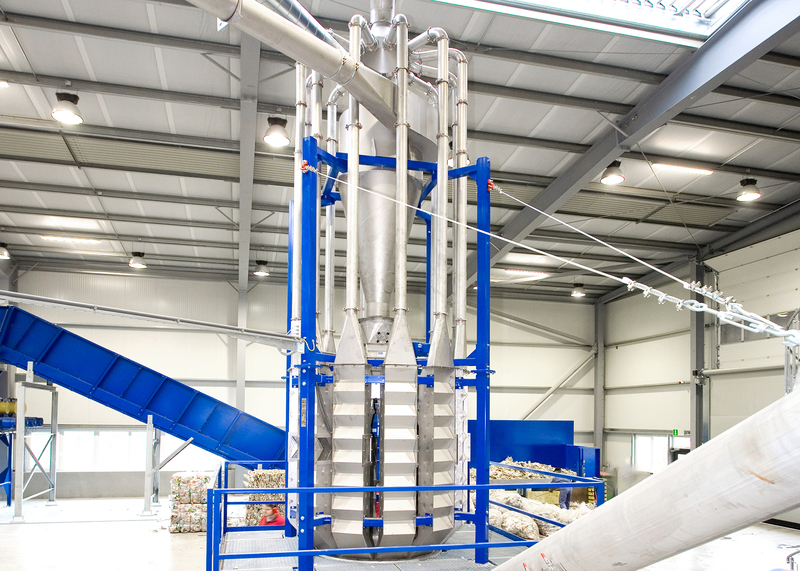 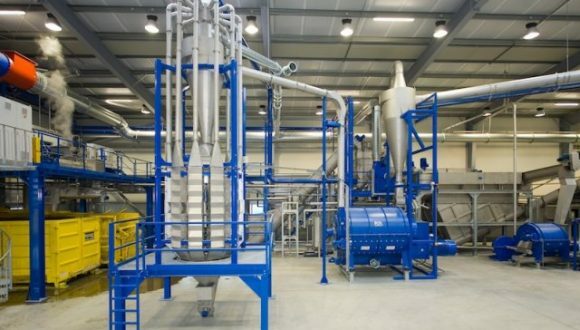 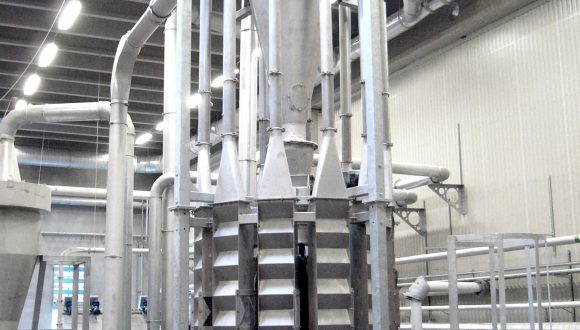 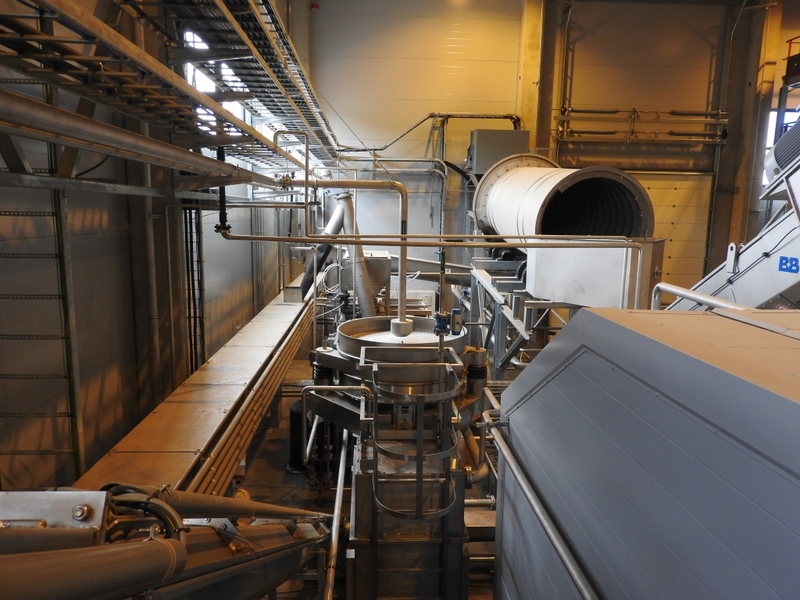 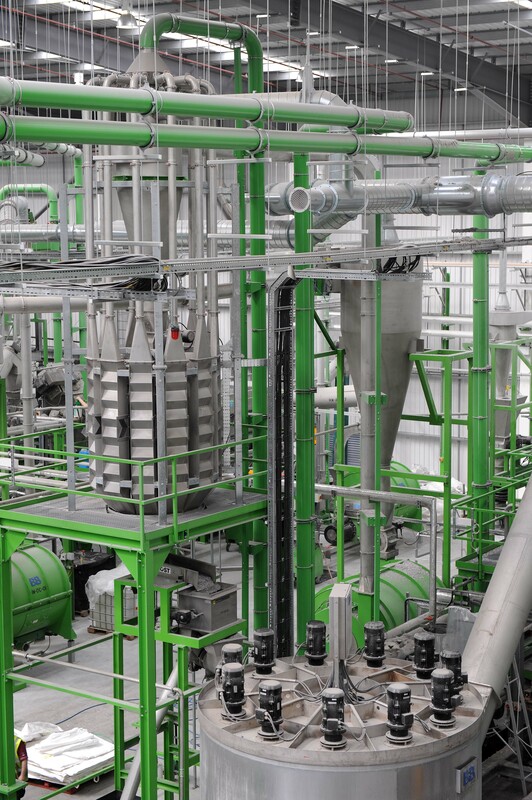 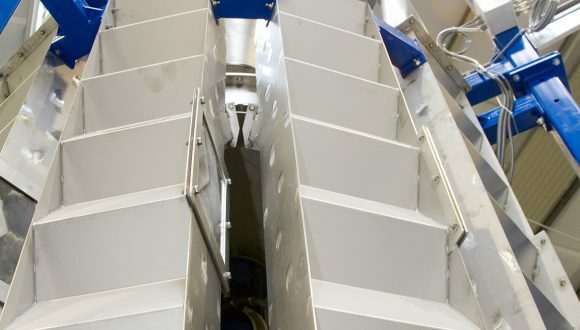 Would you like to know more about the options to incorporating a B+B zig-zag air classifier in your recycling process? Please download the leaflet “ZZ air classifier” for further details. 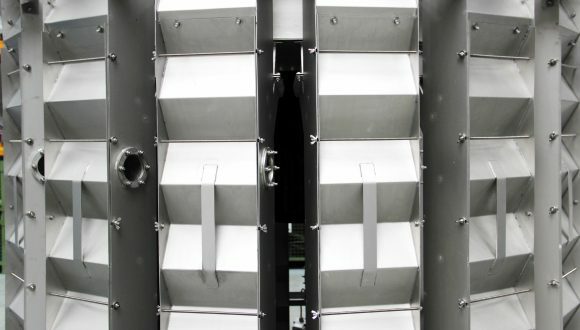 Also, for more information feel free to contact our sales department.